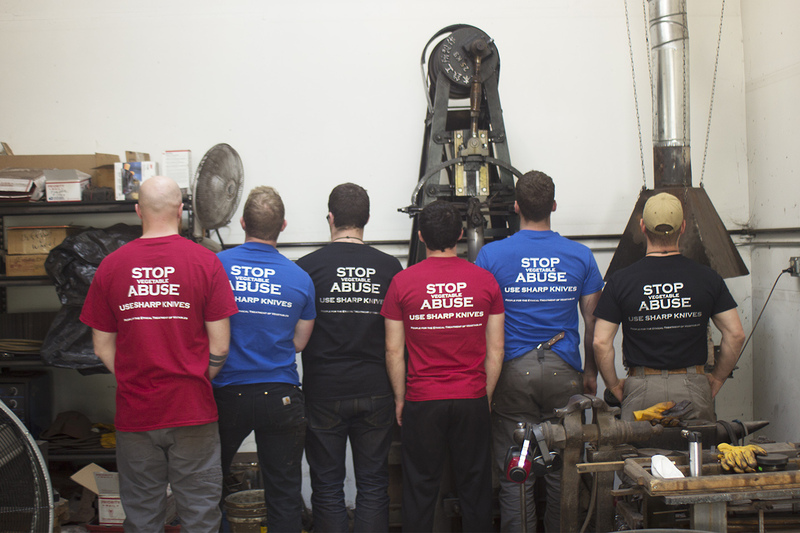 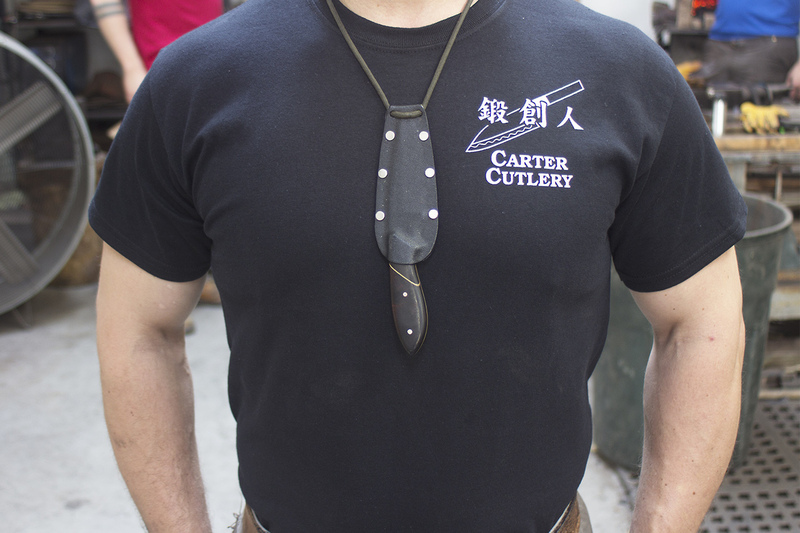 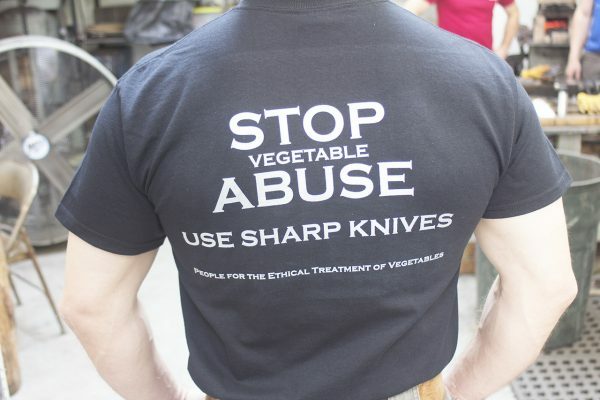 Black, Blue, and Red t-shirts with the Carter Cutlery Tansonin (“Creative Bladesmith”) logo on front left and “Stop Vegetable Abuse, Use Sharp Knives, People For The Ethical Treatment Of Vegetables” in large print on back. 100% cotton, preshrunk. 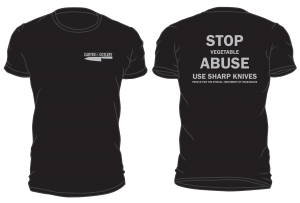 Available in small, medium, large, extra large, and double extra large sizes. 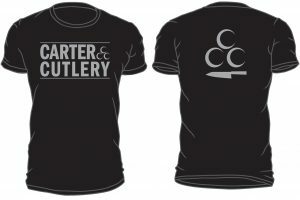 For orders of various sizes, please Add to Cart for each size.